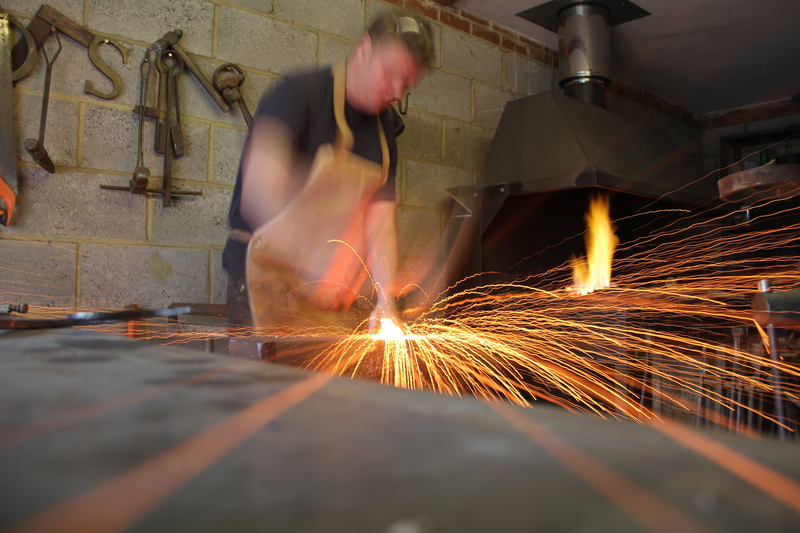 The Thirsty Bear Blacksmithing Company is an artistic metalworking studio using the ancient art of blacksmithing to create contemporary and traditional metalwork that blows people’s minds. 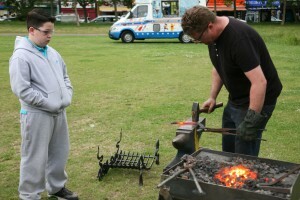 It is run by artist blacksmith Jake Bowers. 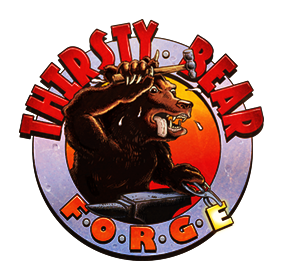 It’s called Thirsty Bear Blacksmithing Company because I work very hard, am partial to a berry or two and have a few cubs to feed. Using a coke-fired forge, where steel bars are heated and then forged over an anvil, I can guarantee that all products have the individual touch of a craftsman. We’re big enough to cope with any job but small enough to guarantee the kind of attention to detail that you should expect from an expert craftman. 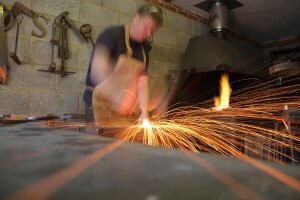 Jake graduated with a triple distinction Extended diploma in Blacksmithing and Metalwork from Plumpton College and trained as a silversmith at Helliden’s Folkhogskola in Sweden in 1998. He also holds a journeyman’s certificate from Worshipful Company of Blacksmiths founded in 1299. On this website you’ll see galleries of my completed work and works in progress. I produce everything from traditional wrought iron gates in steel to jewellery in precious metals for a variety of public and private clients. I also use this website to share what we’re up to with our latest commissions with our customers.